The Craftbarn Two weekly Challenge - Books, seemed like the perfect time to feature the little homemade journal which is one I am currently working in. 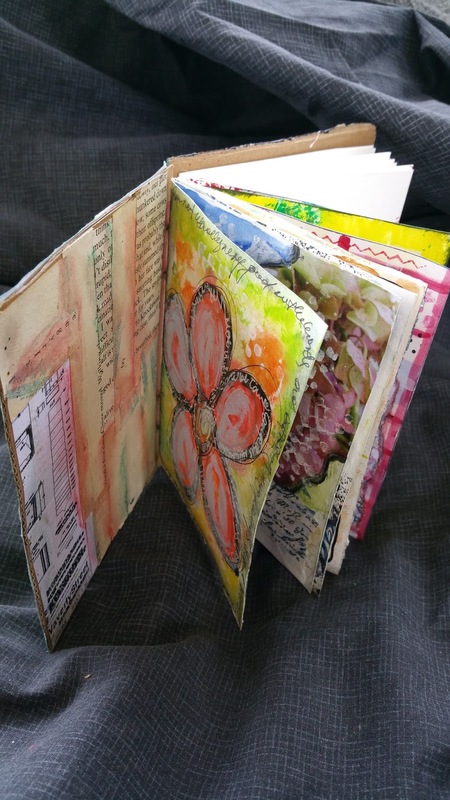 It measures on 11.5 cm x 15.5 cm (4.5 in x 6 in), has watercolour paper and was the first book I had made like this. 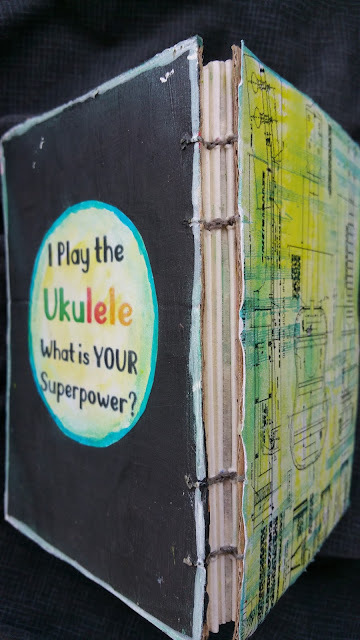 The cover is made from scrap cardboard and features ukulele construction plans on the front and a printed sticker on the back. 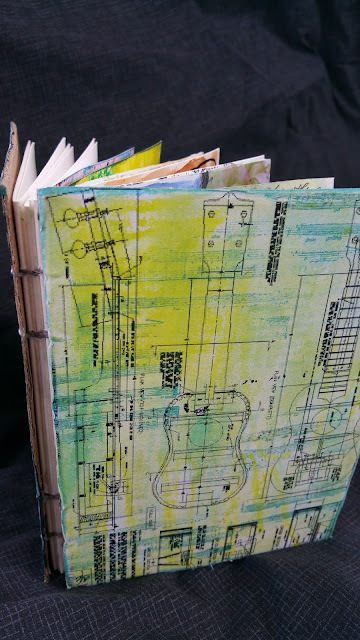 The inside cover has left over piece of the plan and old text paper. It is then coloured with gelatos. 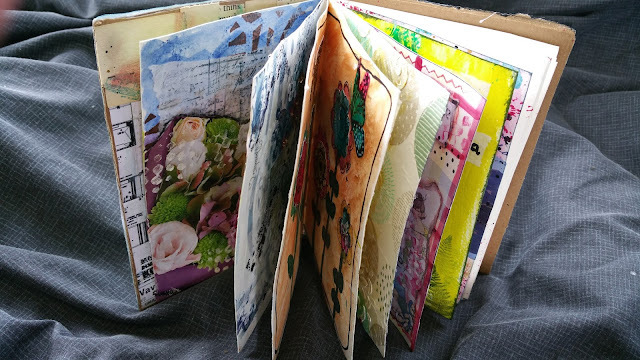 Mostly I have been playing and experimenting in this journal but have also completed a couple of challenges in it.